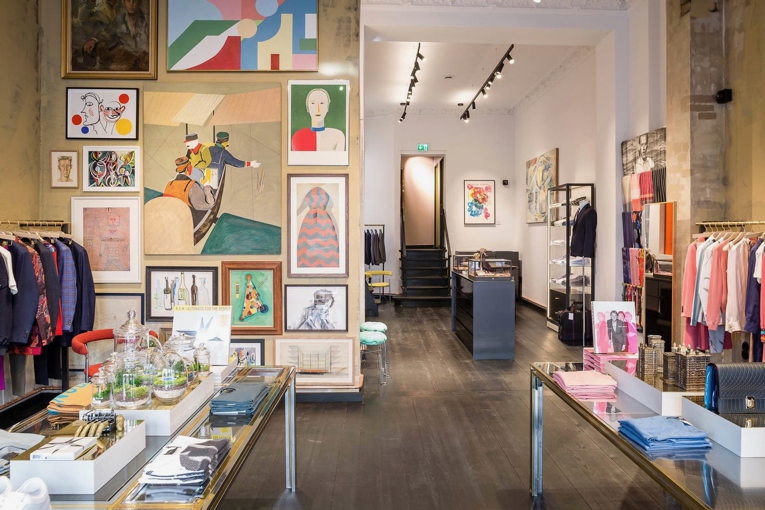 the arrival of paul smith on the block has made it official: berlin's tiergarten is a leading shopping zone in the making, and it's one with an appeal all its own. still very much rough around the edges, it's probably why the british fashion brand decided to skip both the rather predictable kurfürstendamm luxury strip and the overtly hipster mitte district, and open up shop at this quirky location. 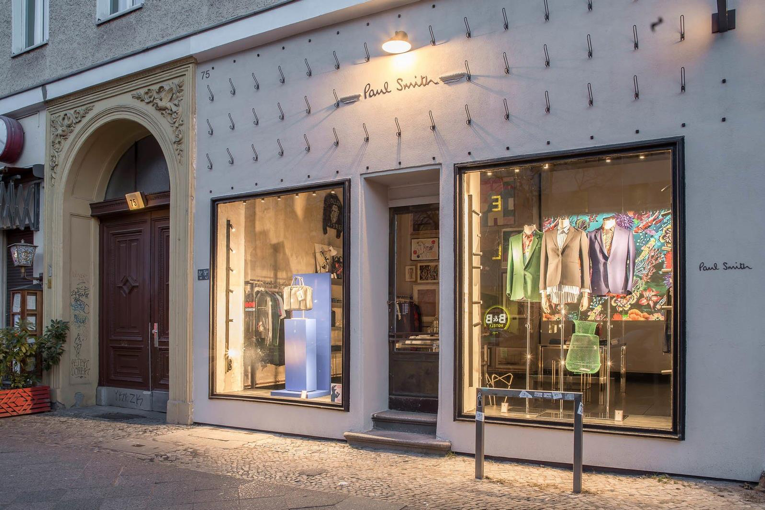 it has been four years since paul smith first entered the german market by opening a standalone store opening in hamburg, and this new outpost in the german capital signals the kick-off of further expansion. the boutique occupies a 90 sqm. [969 sq.ft.] ground floor unit of an early 20th century building and features an interior that's created by designer paul smith himself. in the front room, intentionally untreated walls are covered in framed artworks and memorabilia, and form the bohemian backdrop of the merchandise, while the backroom features pristine white walls. 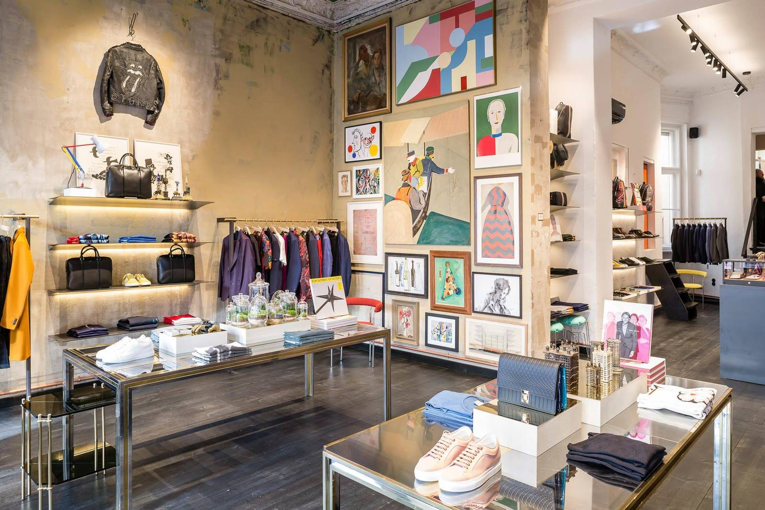 furnishings and fixtures comprise of sturdy metal tables, backlit shelving and displays.the new paul smith boutique carries men's and women's apparel, shoes, and accessories. location: potsdamerstrasse 75 [tiergarten].